The opportunity is soon closing to submit a Highlights paper to ISMB 2012. We invite the submission of full papers that have been published or accepted for publication in peer-review journals between January 1, 2011 and the submission deadline of March 2, 2012. Publications that are "in press" and already linked on the journal website are also welcome. A group of editors will select the papers to be presented at the meeting, considering the impact of the work on the field, the likelihood that the work will make a good presentation, and the relevance to biomedical research, in general. Accepted presenters for the Highlights Track are required to make the presentation themselves, and must register and pay to attend the conference. Click on the link above for full details and guidelines. From there you can also access the Highlights Track Submission Site to submit your published paper today. Several additional opportunities exist for presentation at the conference, including Workshops, Posters, Technology demonstrations, Late Breaking Research abstracts, and the 8th annual Student Council Symposium. You can find the submission deadlines and links to each of the open calls on the conference home page. Registration will open in mid-March. Please help spread the word for the strongest possible participation by sharing this mail with your colleagues and collaborators. We look forward to welcoming you to Long Beach in July. The ISCB Education Committee began working on a number of activities last fall related to developing recommendations for a bioinformatics curriculum. We have 3 subcommittees that are described below. A recap of this initiative can be found in the email included at the bottom of this message (dated September 14, 2011). After completing an initial survey of the Education committee, we have drafted a manuscript that we would like to share with you. The manuscript is available on the blog mentioned below. We are interested in getting your comments on this draft. While we are soliciting feedback, we will continue to analyze the information we are collecting in our subcommittees and hope to incorporate this information in an updated document. We would be happy to have you join in this effort. A blog has been set up to gather input: http://bioinfocurriculum.blogspot.com/. Login is not required. To post your comments, you can click on the 'comment' link at the bottom of the blog. Please provide your comments by March 30th, 2012. We are looking ahead to Long Beach and are organizing a Birds of a Feather (BoF) at ISMB 2012 to discuss bioinformatics curriculum guidelines (http://www.iscb.org/ismb2012-program/birds-of-a-feather). Perhaps you can join us in Long Beach to continue this discussion. Thanks for your interest in this effort. We value your input. I would like to invite your participation in our committee's task force on curriculum. During spring and summer of 2011, we constructed a straw man curriculum that is based on a survey of our committee and of the EMBnet community. The result of this effort is being written up in a report for the ISCB column in PLoS Computational Biology. We plan to perform the surveys during fall 2011 and to incorporate our findings into the EduComm bioinformatics curriculum during winter 2012. Please let us know if you would like to be involved in this effort. In your reply, specify which of the 3 tasks interest you (feel free to select as many of the 3 as you wish). We invite you to register now for the 20th Anniversary ISMB conference being held July 15-17, 2012, in Long Beach, California. The link below will take you to a page full of details, including options, pricing, and early registration discount deadline, as well as to the online registration form itself. The 8th annual Student Council Symposium is a student-organized event featuring keynote lectures, oral presentations and a poster session tailored to undergraduate and graduate students as well as post-docs in computational biology and related disciplines. SCS presenters are eligible to apply for special Travel Fellowship funding secured and awarded by the Student Council. The ISMB 2012 conference agenda is currently taking shape, and you can visit the Schedule Overview in order to begin organizing your travel plans. The Program page of the site includes links to details about the conference tracks and sessions, and is being updated regularly as decisions are made on acceptances from submissions to the various tracks. And finally, the General Info page includes links to helpful information such as housing, tourist info, and the availability of child/dependent care to ensure your conference experience is both successful and enjoyable. 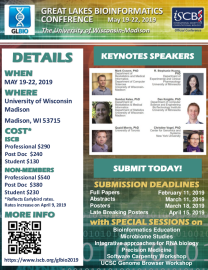 As a reminder, the International Society for Computational Biology is encouraging members to submit nominations for the Society's Board of Directors; the Officer positions of Vice President, Treasurer, and Secretary; and the Student Council Leadership positions of Chair, Vice-Chair, Secretary, Treasurer, and SC Rep to the ISCB Board. Nominations are submitted at www.iscb.org/nominate (you must login to your membership record to access the nomination form). In all cases, self nominations will not be accepted. In order to be eligible for candidacy as a Director a person must be or become an ISCB member in good standing no later than the date he or she accepts the nomination. Acceptance is then completed by submitting a candidate statement by May 4, 2012. All Director candidates must pledge to make every reasonable effort to attend the bi-monthly Board teleconference beginning with a training period in October 2012 and the annual in-person Board of Directors meeting (held at the ISMB conference) at their own expense through completion of the three-year term that begins January 21, 2013. In order to be eligible to be an Officer candidate a person must have served on the ISCB Board of Directors for at least one year prior to January 2013, and be an ISCB member in good standing, or renew a lapsed membership no later than June 24, 2012. All Officer candidates must pledge to make every reasonable effort to attend the weekly Executive Committee teleconferences beginning with a training period by mid-October, 2012, the bi-monthly Board teleconferences beginning with a training period in October 2012, and the annual in-person Board of Directors meeting (held at the ISMB conference) at their own expense through completion of the two-year Officer term that begins January 21, 2013. The elected Officers will also serve concurrently on the Board of Directors for a term that ends January 21, 2016. Nominations for Board of Directors will be accepted through April 6, 2012. Election of Board members will take place during the annual ISCB Board of Directors meeting in July 2012. Nominations for Officers and Student Council Leaders will be accepted through June 3, 2012. Election of the Officers and Student Council Leaders will take place via online voting by the membership in July, 2012, including availability to a dedicated voting booth at the ISMB conference. Each nomination requires the name, affiliation, and email address of the nominee, along with an assurance that the nominee meets the qualifications and is willing to stand for election for the position in question. The nomination must also include a few sentences of justification that makes the strongest case possible for the nominee. Full information regarding the 2012 nominations/elections timeline, call for nominations, and Director and Officer responsibilities can be found at www.iscb.org/iscb-leadership-a-staff-/officers-and-board-directors/nomination-election-procedures. We are looking forward to an active participation by the ISCB membership in the nominations and election process, and we thank you in advance for your qualified nominations. November 11, 2010 - The Board of Directors (BoD) of the International Society for Computational Biology is pleased to announce the results of the recent Officer and Student Council Leader elections. Each of the individuals named below will begin their term on January 21, 2011, with Officers serving for two years and Student Council Leaders serving for one. For additional information on ISCB's annual nominations and elections procedures please see http://iscb.org/iscb-leadership-a-staff-/officers-and-board-directors/nomination-election-procedures. The next call for nominations of directors, officers and student council leaders will open February 15, 2011, for terms beginning in January of 2012. Dr. Gaasterland was a founding member of the ISCB BoD, served as Secretary from 1999-2000, and returned to serve as a VP in January 2007. She has and will continue to serve as the primary ISCB representative of the President at affiliated and co-sponsored conferences, such as RECOMB, InCoB and PSB. In addition, Dr. Gaasterland serves as the executive committee liaison to the San Diego based ISCB administrative staff, whose headquarter offices are at UCSD. Topics of Research: My research aims to develop and apply methods to identify genes and the impact of their genetic and evolutionary variation on regulation of transcription and on protein domain structure and function. Under current funding, my laboratory is sequencing and analyzing variation in protein coding exons genome-wide for 300+ primary open angle glaucoma cases and controls. We are developing methods for accurate variant discovery in genes with pseudogenes and tackling statistical questions related to normalizing observed frequency of variation based on each gene's "tolerance" for variation in a population. Major Issues Facing ISCB: Over the last three years, ISCB's major issues were gaining financial stability while adhering to its non-profit, pro-student roots. Now that ISCB has stable finances (a non-trivial accomplishment! 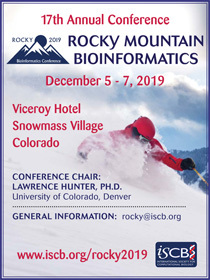 ), the next major challenge is to reach out to local groups and specialized groups of bioinformaticians to foster local community and "BOF"-like communities, and to do this in a manner that adds to ISCB's long-term strength. ISCB is small enough to grow and change as our field changes, but perhaps too small to address directly the needs of every type of member. Plans to Address Issues: There are two models, already underway, to address balancing growth and diversity (breadth) with fostering community. One is to develop bi-annual regional meetings. ISCB Africa and ISCB Latin America were the first two. Repeating this model, where ISCB takes on the financial risk of organizing the meeting, and local organizers make it their own, will be critical to ISCB continuing to have impact for each and every member. A second model is to elevate the importance of the SIGs that already meet annually at the international ISMB flagship meeting. A step further down this road is to include specialized meetings adjacent to ISMB, as with MGED in Boston in 2010. These types of efforts are important and need to continue. The Vice Presidents are part of the ISCB Executive Committee. As VP, I would participate in the weekly Exec conference calls and work to influence decisions in support of these models. Service to Field or ISCB: I was founding Secretary of the Society. This meant being part of a group committed to building a community of researchers whose work spanned from theoretical solutions to practical application. Our field is still multi-disciplinary and, indeed, draws its strength from our colleagues' abilities to embrace techniques from other fields and bring them to bear on the hairy biological and algorithm challenges we enjoy tackling. In my own work, I seek out roles as an "applied bioinformatician" (in the spirit of "applied mathematician") on projects where the computation makes a difference. Non-Scientific Expertise: I served as a founding officer of ISCB during 1996-2000. I took a 7 year break from ISCB leadership during which ISCB grew and changed dramatically. As a current VP, I've tried to blend that early founding experience with helping the Executive Committee meet ISCB's daily challenges. Further, I care deeply about our field's potential to impact basic biology and translational research in today's world of ever increasing breadth and depth in high-throughput "omics" datasets. Dr. Kelso was elected to the ISCB BoD in January 2005, and a year later was appointed to fill the mid-term vacated position of secretary, which is a position she holds until January 2011, at which time she moves into her newly elected role of Vice President. For the past several years she has served as an Officer of ISCB, and Chair of the ISCB Conferences Committee. Topics of Research: Computational genomics of humans and other extinct and extant primates. We develop and apply software for the comparative analysis of primate genome and transcriptome data in order to learn about human evolution. We are also interested in the development and application of ontologies for molecular biology, and particularly in the integration of domain ontologies in a way which makes them amenable to computational reasoning. Affiliations: The development of a sustainable, and mutually beneficial model for the affiliation of ISCB with the increasing number of regional and local societies that now exist. It needs to be made clear what benefits there are for ISCB and for the affiliating society, as well as for the members of each. Plans to Address Issues: I will maintain my involvement in the conferences committee and in the organization of ISMB in order to ensure that the meetings that are planned and approved are of a high standard, that they are relevant to the community, and that ISCB has the resources available to ensure that they are successful. The society needs to have an extended discussion about the role it sees itself taking on with respect to other societies, and once the aims are clear I will participate in implementing this in a way that both ISCB and the member societies draw substantial benefit. Service to Field or ISCB: I have been a member of the ISCB Board of Directors since 2005, and a member of the Executive Committee since 2006. During that time I have overseen the affiliation of ISCB with a number of conferences in bioinformatics/computational biology, as well as the expansion of regional (in Africa and Latin America) and specialist (C-SHALS) meetings. I have been responsible for Chairing the tutorial session at ISMB since 2006 (in recent years together with Fran Lewitter). Non-Scientific Expertise: Good organizational skills, mentoring skills and attention to detail. Dr. Lengauer was a founding member of the ISCB BoD, served as Vice President from 1999-2000, has chaired Outreach and Awards Committees, and chaired both the ISMB 1999 and ISMB/ECCB 2007 conferences. Returning to a Officer position with ISCB after a multi-year break, Dr. Lengauer will be bringing the benefits of his experiences in fostering new activities (he has long been involved in the RECOMB conference series and founded the ECCB conference series) and his growth in leadership roles with other scientific organizations. Topics of Research: Computational biology for infectious diseases (HIV, HCV, HBV, Influenza), computational transcriptomics and epigenetics, protein structure and function, docking and drug design. Major Issues Facing ISCB: Computational biology is a maturing field. In the past years ISCB has solidified its financial base and developed the organizational structures, internet representation and membership offers to effectively represent the field. Furthermore, more people are working for the benefit of the field through the society. Thus I feel that the society is in good shape, overall. Among the issues that deserve prime attention are fostering young people, enlivening the international base of the society and helping to firm up in the minds of scientists a realistic notion of the central role of computational biology in modern day biology. As the field appropriates new methods, such as molecular and cellular imaging and dynamic modeling of cellular processes, the society will also have a role in helping to shape emerging scientific communities. Plans to Address Issues: The society is well on its way to address all issues mentioned. Fostering young people can be done by expanding travel fellowship programs to conferences and workshop, for instance, as well as by supporting the ISCB student council. Bringing forth a rightful image of the central role of computational biology can be effected through the participation in the organization of relevant scientific journals, special issues in such journals etc. Helping new communities to form is best done by supporting relevant workshops and conferences. The international base can be strengthened by fostering international participation. Service to Field or ISCB: I am a founding member of the society and have organized two successful ISMB Conferences (Heidelberg 1999, Vienna 2007). I was Vice President of ISCB 1999-2000. I have been a member of the board of directors in the early times of the society (until 1999) and since 2005. Non-Scientific Expertise: I have long-term experience in leadership roles in scientific societies (Vice President of German Informatics Society 1994-1995, Senator of the German National Academy of Sciences Leopoldina since 2007). I have helped shaping international conference series (RECOMB, ECCB) and brought together research consortia on emerging research topics. Dr. Linial has been an actively contributing member of the ISCB BoD since January of 2004 and concurrently serves as Chair of the Steering Committee of the European Conference on Computational Biology (ECCB), ISCB's conference partner for meetings held in Europe (e.g. ISMB/ECCB 2004 in Glasgow, ISMB/ECCB 2007 in Vienna, and ISMB/ECCB 2009 in Stockholm). In 2009 she began her first term as Vice President, and with this election will repeat that role in the coming term. Topics of Research: We combine experimental and computational approaches to understand cell behavior and cellular programs. Specifically, we investigate the ability of cells to cope with unstable conditions by using neurons and pancreatic cells as model systems. We study microRNAs in regulating cell physiology under stress and upon cell fate acquisition. We develop tools for the bioinformatics community regarding protein global organization and gene annotations. The need to adopt advance modes for data exchange. Specifically, online presentations, classes, blogs, tutorials and such replace many of the classical modes of knowledge gaining. ISCB needs to cope with these technologies and to show leadership in this line. Ensure that the cross-talk between the ‘classical' computational biology and commercial biotechnology and medical relevant companies is stronger. Providing mechanisms by which our student leadership and the young generation of investigators will take an active role in shaping the society. Many of them were already trained as molecular and computational biologists . Increase the leadership of ISCB especially towards Asia and the Pacific. We should benefit from the successful model of the ISMB-ECCB interactions. On data exchange: The portal in ISCB is a good start. Invite bloggers to write on our meetings and events. Videotape all the talks and allow access to them in a YouTube format or alternative formats. Allow other societies to get access to our material (on a financial agreement). On commercial connection: A good start is a job fair organized by commercial companies, panel discussion and database of “we want you” in our portal. On young leadership: Arranging during the annual ISMB meeting relevant events critical for young investigators such as ‘how to write grant', ‘search a partner / collaborator'. ISCB may encourage and support ‘regional student events' for such initiatives. On expanding beyond Europe: A good start is an open call for Asia meeting. Search for a regional team that will ‘teach' ISCB how it can play a role as a partner in existing or newly set regional meetings will be essential. I am sure it is achievable in the years to come. Service to Field or ISCB: I am serving in recent years as a chair of ECCB. Together with ISCB officers, we were able to establish fruitful and trustful communications that benefited ISCB and ECCB all together. As an EC of RECOMB (from 2005), I am also able with the other dedicated fellows to exchange ideas and make sure that the activity of each of these organizations is in harmony while still maintaining the uniqueness of each. In ISCB I served for the last few years in the Board, as a co-chair in ISMB 2008 (Toronto), ISMB 2010 (Boston), and ISCB/ECCB 2011 (Vienna), and as a chair of the Special Sessions tracks for the last few years. In addition I am part of the awards committee, served as a liaison for the student council and am an active member in the conference and education committees. Non-Scientific Expertise: I have over 25 years of experience in teaching molecular biology, bioinformatics, neuroscience and biochemistry. As a founder and chair of the educational program in the Hebrew University in Computer Science and Life Science (from 1999), I am proud to take an active part in shaping the career of the first generations of leaders in the field of computational biology in Israel and abroad. On a personal note, in the place we are coming from (Israel, the troubled Middle East), nothing can be taken for granted and you can never give up. I developed the habit to question always about the relevance and the legitimate of what I am doing. In my day to day laboratory research, I am amazed by the ability of cells to cope with changing and unstable conditions. The cells “know” to activate alternative routs to better fit the new unpredicted condition. I believe that there is a great analogy to the functionality I brings in to ISCB. Dr. Schneider has been actively shaping ISCB as a member of the board of directors since 2005, Vice President 2006-2009, and Treasurer since 2009. He has also oversaw the creation of a new web portal for ISCB, and is currently deeply involved in the overhaul of ISCB's proprietary abstract submission/reviewing system. Major Issues Facing ISCB: Increase membership and further stabilize the financial situation of the society, increase outreach activities. Plans to Address Issues: Make the membership more attractive by adding more benefits like we did over the last 2 years; increase membership via our Regional Student Groups; get more active in outreach activities and the multimedia area (videos.interviews/postercasts); apply for grants in the training/educational sector. Service to Field or ISCB: Board of directors, VP and head of Committees (Finance, Governance), member of committees (Conference, Award), served as Treasurer since 2009, Member of the organizing committees for ISMB, ISCB Africa, and ISCB Latin-America. Non-Scientific Expertise: Expertise in the biotech sector and several start-ups; experience in negotiating with lawyers, bankers, customers etc. Dr. Markel joined the ISCB BoD in 2006, served as Publications Committee Co-Chair 2007-2009, assumed the role of Chair of that committee in 2009, and was instrumental in brokering the deal to renew ISCB's partnership with Oxford University Press to once again designate Bioinformatics as an official journal of the Society, and negotiating the renewal of PLoS Computational Biology as our other official journal. In 2009 he stepped into the role of VP of ISCB, and with this newest election will next serve as Secretary, for which his highly valuable skills in writing, organizing and taking on new responsibilities will serve the Society well. Topics of Research: I lead Accelrys' bioinformatics effort for the Pipeline Pilot product line, working daily with an interdisciplinary team of bioinformaticians, computer scientists, and biologists to develop commercial software for sequence analysis (including next gen sequencing), gene expression, and mass spec for proteomics. My area of expertise is scientific software architecture, with a focus on integrated solutions for pharmaceutical and biotech customers. ISCB's focus needs to remain on promoting good science that's relevant to the Society's members and potential members. We want the Society to continue being a significant professional organization for both computer scientists and life scientists working in computational biology. This is an increasing challenge as new technologies emerge and new areas of interest blossom. ISCB needs to continue to provide a voice for our members regarding the important issues that affect our professional lives. Recent examples are the Software Sharing Policy Statement and the Society's work with FASEB on travel visas to the United States. In both cases the Public Affairs Committee played an important role. The revenue base supporting ISCB's activities needs to be expanded. The focus is on science, but we need money to pay for the activities. Publications: The Publications Committee is also helping the Society stay relevant. For example, a current task of this committee is to identify existing scientific journals that might become additional official journals of the ISCB. We should use this task to broaden the scientific domains addressed by the Society. Open access is important and something we should want all Society journals to support. Regional groups: As an international society we also need to have a more coordinated approach to working with regional groups and societies. The Board of Directors is currently addressing this issue with regard to those organizations that have approached us, but I think we can do better. I believe that ISCB needs to be proactive in identifying groups and individuals who can work with us in establishing new regional affiliates. One key reason for this is that regional groups often best understand the local scientific questions and informatics needs. The Student Council has been quite active with this in Africa. Education: Another aspect to expanding our influence in the scientific domains is education. With the coming new and improved Society web site we'll have a focal point for educational material. The Education Committee and Student Council will play a key role in populating this area of the web site. While education efforts typically reach out to students - the future of the Society - it's also important to remember the working computational biologists and the biology community with which they interact. They need continuing education opportunities as well. Tutorials, SIGs, and Special Sessions can also be targeted to support them. Fellows Program: I worked with Mona Singh and Reinhard Schneider to implement the new ISCB Fellows Program, introduced in 2009. 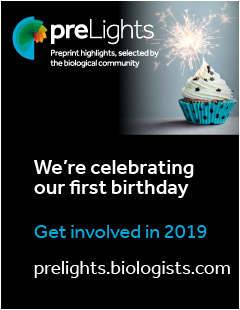 This a great new way of celebrating the maturity of our scientific field and recognizing those who helped get us here. Input from members: This is your Society. The Society should publicly represent what a majority of you want. While the other members of the Board of Directors and I actively solicit ideas and comments from members, most of this information is obtained from people we know, especially those we see at ISMB. We need to make it easier for members to influence the Society. Some initial ideas that come to mind are having a "question and answer" area (where you ask questions) and a "question of the month" poll (where we ask your opinion) on the new web site. Of course, it takes work behind the scenes to enable all of this. We're always looking for volunteers for the various committees and activities. Volunteering is another way to make your voice heard. The Student Council is a great example of what can happen when a group feels empowered. They have a seat on the Board of Directors, an impact on education and other activities, and annual ISMB sessions. We, the ISCB leadership, need to do more to encourage this kind of enthusiasm and commitment. The Society should consider encouraging the use and creation of standards, especially supporting the reuse of existing solutions, where appropriate. I would highlight the Open Source community efforts, e.g., BioPerl, BioJava (both part of the Open Bioinformatics Foundation), BioConductor, and the Microarray Gene Expression (MAGE) standard from MGED and OMG. ISCB's involvement could be coordinated by either the Education or Public Affairs Committees. The pathways, proteomics, and SNPs communities also have standards efforts underway. ISMB is already a popular venue for these discussions. I think ISCB should publicly encourage these activities since the open exchange of information and data is clearly beneficial to the larger community. In fact, we could go further. At the conclusion of such discussions the Society could lead the way to establish the outcome of these discussions as the requisites for the field. We could draft the guidelines, standards, and a position statement, publish them, and, in so doing, create the formative guide for moving the field forward. Journal income is a key component of increasing our revenue. PLoS Computational Biology and OUP Bioinformatics are the official Society journals. I had primary responsibility for ISCB in negotiating these two contracts. As mentioned above we're also looking for existing journals that could become additional Society journals. In addition, the Publications Committee has discussed an ISCB book series. Within the next year we'll also have the opportunity to negotiate the extension to the OUP Bioinformatics contract. The Executive Committee and I are looking at ways that ISCB can engage in fundraising, with an emphasis on corporate support. One idea is to build an endowment fund that ISCB could use to fund some of the ideas I've mentioned. Perhaps companies can support educational activities or book purchases or software licenses through direct funding or donations of their products. I've helped Reinhard Schneider with his efforts to expand membership categories. These efforts are addressing both science and finance. We've added senior member and fellow categories to directly recognize the scientific accomplishments of our members. And we're including multi-year, lifetime, and organizational memberships to provide members with some attractive alternatives to the current single-year membership. We might also consider entering formal liaison agreements with organizations such as ACM, ACS, SIAM, HL7, etc. Liaisons agreements allow members of one society to receive some benefits, usually not all, of a second society at a reduced price. 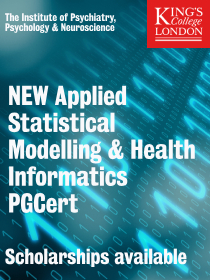 I'm on the editorial boards for PLoS Computational Biology and Briefings in Bioinformatics. Actively involved with MentorNet; three protégés at the moment. Non-Scientific Expertise: I'm very good at consensus building and completing tasks. I've leveraged these skills as an ISCB Vice President and the chair of the Publications Committee, including the negotiations of official Society journal contracts with PLoS and OUP. I've taken several courses from Harvard's Program on Negotiation where I learned from the experts who wrote "Getting to Yes: Negotiating Agreement Without Giving In" and "Getting Past No: Negotiating in Difficult Situations". Much of my prior activity was with the Object Management Group (OMG). I was a co-chair of OMG's Life Sciences Research Domain Task Force. I also chaired the LSR's Architecture and Roadmap Working Group and was a member of the OMG Board of Directors. I led the joint submission for Biomolecular Sequence Analysis and participated in the submissions for Genomic Maps, Gene Expression, Chemical Structure Representation, and Biochemical Pathways. I manage a cross-disciplinary team in industry. I've made a career out of working to bridge science and software in pharmaceutical and software companies. I also have a strong interest in team building and mentoring (at work, via MentorNet, and in the community). Geoff as had several years experience as chair of RSG Australia. His involvement in the development of this student group and display of leadership skills makes him a strong candidate for the position of SC chair. Topics of Research: I am interested in developing in silico techniques to help understand mechanisms of gene regulation in humans. In particular, I am interested in identifying how aberrant modes of gene regulation affect disease phenotypes. Major Issues Facing ISCB: I believe over the next three next years the ISCB's biggest challenge will be in dealing with an increase in numbers of people doing computational biology research. With the ongoing inception of consortia based projects such as the ENCODE, modENCODE, Epigenomics Roadmap, ICGC projects etc, there will be a need for more computational biology researchers to make sense of the large amounts of data generated by these projects. From a student council perspective, a direct consequence of this increase will be a need for greater support of the training and development of computational biology researchers in participating in consortia style research. This will require increased support for student focused networking activities. Additionally, I believe as the number of researchers in the field of computational biology increases, the area of “computational biology” will diversify sufficiently that more focus will need to be placed on development of the specific sub areas of computational biology (for example, an increase in the size a number of the RECOMB satellite style meetings). The student council needs to ensure that their activities reflect this likely increase of critical mass in specialised sub areas of computational biology research. Plans to Address Issues: From a student perspective, one of the biggest issues in being well positioned to be involved in large consortia based projects, is to feel at ease in working in a collaborative environment. In order to provide opportunities for experience in such an environment, as potential chair of the student council, I would suggest a strengthening of the current programs that help provide opportunities for students to connect with mentors, fellow students and future collaborators. For a student at an early stage in their career, programs that provide a local support network that fosters interactions between researchers is paramount. This ensures through the sharing of experiences, new students are not overwhelmed by the challenges faced in multidisciplinary research that is inherent to computational biology. This is something that the Regional Student Group initiative has successfully and is continuing to achieve. The student council also provides great support for students at a later stage of their career: the student symposiums attached to the ISMB and ECCB conferences allow students to present their work in a conference style environment and connect with fellow students from around the globe. In addition, being part of a major conference also provides exposure to the larger computational biology community. There is however a space for development in between these two programs. With the recent establishment of a greater number of RSGs, the initiative is large enough such that RSGs can begin to share their modes of operation and learn from each others successes. Their is also the opportunity to begin to form connections between students from different RSGs, potentially providing a intermediate level of networking that resides above that of a local RSG, but below that of the student symposium at international conferences. An early indication of the success of programs at this level will be provided by events such as the Workshop on Python in Bioinformatics in Poland in September. With ongoing support from the society in fostering events and programs that provide environments in which students can learn to collaborate and network, I believe we can provide the next generation of computational biology researchers with the greater repertoire of skills needed to participate in large consortia style projects. This will ultimately provide an enhanced capacity to answer the big and fundamental scientific questions consortia based research allows. Service to Field or ISCB: Since starting out as a student in the field of computational biology in 2006, I have participated in a number of programs which have assisted in supporting fellow students. Firstly, I was involved at the end of 2007, in starting up a local (Melbourne, Australia) computational biology student group called COMBINE. We have since secured regular funding and recruited over 40 members and have been successfully running social events, seminars and student symposiums, bringing together students across over 10 separate institutions. In 2009, I was involved with the creation of RSG-Australia for which I am currently president. We are in the process of merging COMBINE with RSG-Australia and looking at setting up an additional student chapter in Sydney, Australia. Non-Scientific Expertise: From a young age I have been involved in the organisation of large events and formation and running of various recreational groups. These experiences have given me the skills required to be involved in the successful running of an organisation such as the student council. In addition, my experience in planning the long term success of many of the organisations I have been involved with places my in good stead to become chair of student council and ensure the successful development of an already flourishing ISCBSC. The following is some evidence of my past experience: As a teenager I was a national gymnast and coach and organised interstate trips for 30+ competing gymnasts. In 2000 I worked at the Sydney Olympics as a Spectator Services supervisor managing in excess of 50 volunteers at any one time. From 2002 to 2005 I ran a personal business teaching acrobatics and breakdancing, gathering a student base of greater than 500 students and 5 employees. From 2002 to 2004 I was president of the La Trobe University surf club and involved in the running of many surf trips for visiting international students and pioneered the program of self sufficient surf lesson instruction. The surf club remains the most successful recreational club in the University. Teresa has been an active member of the Student Council for several years now. Most importantly, she has had very important contributions to the organization of no less than 3 previous editions of the Student Council Symposium. She has shown to be an excellent team player with a strong drive to make the SC events a success for as many student as possible, and, therefore, is sure to be a great addition to the SC leadership team. Topics of Research: I'm using large sets of gene expression microarray data in public repositories to explore gene expression in genomic context. I'm looking for patterns that may be related to 3D genome organization in the nucleus. Student Council should keep organizing Student Council Symposium as a high quality international forum for young researchers. Another important task is to coordinate the Regional Student Groups. Those groups are bringing new students into bioinformatics society. Exchange of experience between RSGs leaders from different parts of the world may help to omit problems they face. Plans to Address Issues: Formation of committees with different responsibilities was a very good step and I am planning to support work in groups with defined responsibilities. It is very important to involve new people into student council. I think clear definition of tasks will help in that. Service to Field or ISCB: I have been involved in ISCB SC since 2007. I was part of organizing committee of 4th, 5th and 6th Student Council Symposium (details are in the CV). Currently I am the president of RSG-Poland, the group I started a year ago. Non-Scientific Expertise: I was a member of Erasmus Student Network, therefore I have experience in non scientific collaboration between people from different countries. I also took part into some popularisation of science tasks: a science happening, an article. I travel a lot and I am always interested in the culture of the country I am visiting. Dancing is my hobby. Comments: Education needs vary a lot between different regions of the world. The first step to fulfill that needs is mutual understanding. I studied in both The Netherlands and Poland. That gave me wider perspective about educational problems. Priscila is the founder and current chair of the RSG Brazil. In this position she has shown a remarkable devotion to make this new RSG a success. She has had strong contributions in building a network of interaction among the Brazilian students working in computational biology and bioinformatics areas through Brazilian Association for Bioinformatics and Computational Biology (AB3C). While working on ISMB2010, she demonstrated a keen interest in contributing to the mission of the Student Council as a whole, and, therefore will make an excellent SC Secretary. Topics of Research: I investigate the Trypanosoma cruzi epimastigotes gene expression in response to the stress caused by a 500 Gy dose of gamma radiation, using DNA microarrays technique. Major Issues Facing ISCB: Regarding the Student Council, the team should continue to work to increase the number of the RSGs. Those groups are an excellent way to introduce the society for new students. The SC also must consolidate the on going projects and create new ones based on students needs. As far as I could notice, the SC is new, but has been doing a great job, and we must work to strengthen this outstanding student group. Plans to Address Issues: Regarding the RSGs, I would be very glad to mentor Latin America students to create their own groups. I'm already in the Educational and Internship committees and I intend to continue helping the teams. The Society should support the initiatives! Service to Field or ISCB: Since 2008 I organize the poster and oral sessions in our Conferences as Chair or co-chair. This job requires organization, communication skills and patience to deal with the community doubts and questions. Non-Scientific Expertise: I'm a communicative person, with a great enthusiasm in working for the community. I learned how to organize events (since I have been organizing the Brazilian conferences on Bioinformatics and Computational Biology since 2008). Anupama first contributed to the SC when she started working as the Manager for RSG-India for a year. She also gave invaluable help in the drafting of the first Student Council Budget last year and is also involved in the Student Council Fundraising committee. Based on her previous experience with the SC and her natural aptitude for paying attention to detail, she will be a perfect fit as the Student Council Treasurer for this year. Topics of Research: To date, I worked on analyses of protein structures, function and mechanism. Major Issues Facing ISCB: ISCB has become synonymous with Computational Biology and Bioinformatics in a short span of time. While it has established its presence in several industrialized countries across the world, the internationality of ISCB will be fully realized when it extends its wings to unrepresented and expands within underrepresented countries. A lot of untapped potential in the student body is waiting to be mined by the right (and affordable) platform. ISCB could provide just that, by embracing the student researchers from across the world. After all, today's students are tomorrow's scientists. Plans to Address Issues: ISCB can organize triennial conferences/events in the eastern part of the world which will generate more awareness of its activities. Reduced registration fees could enhance participation especially from the student community. The Society could form alliances with research organizations, Universities to increase its membership and support. Exclusive training and internship opportunities can be provided to deserving candidates from these organizations. I would like to contribute to the efforts in membership development and fundraising for self-sustenance. Service to Field or ISCB: Since 2008, I have been an active member of the Regional Student Group-India (RSG-India), the student council's endeavor in India and served as the group's Manager for the year 2008-09. As a member I have contributed to the group's initiatives in serving as an information portal, creating project opportunities for students, creating awareness of RSG-India and Student Council's activities amongst others. Currently, I am volunteering in the Fundraising Committee of the Student Council. Non-Scientific Expertise: First and foremost I bring with me, a passion to assist this Society. I have performed my tasks as a member of RSG-India with transparency and accountability. I believe that I can carry my enthusiasm and stewardship skills to work on a global level. Interpersonal and communication skills are my strengths too. Thomas has been involved in the SC for a few years. He has significantly contributed to the activities of the SC in particular with the website, with the program committee of 2 symposia and by chairing the last symposium. He has very good leadership and communication skills. Topics of Research: My research is focused in three areas, which are to a large extent interconnected. Visualization of the next generation of sequencing and genomics data. In my opinion one of the main challenges that ISCB and the Student Council face at this point is the proper transition of active SC members to active ISCB members. Ensure open two-way communication between ISCB and SC. To the best of my knowledge this is at the moment definitely not an issue. However, I think it is so crucially important that it should be mentioned here. A very first step would be to properly inform SC members of the opportunities that are available within ISCB already. There are committees that work on a number of different topics, but most students are unaware of these. In a second step it would be worthwhile to explore options to start a young post-doc/researcher specific initiative between ISCB and SC. Maintain and stimulate communication between SC and ISCB. This liaison function is in my opinion the most important facet of this function. As such it is important that both SC members as well as ISCB directors have a single point of contact for the respective counterparts. Service to Field or ISCB: The past 3 years I've been actively involved in organizing SC activities at ISMB and ECCB. I started out with the website for SCS4 in Toronto. For SCS5 in Stockholm, I was program chair and responsible for the travel fellowship review process of the Student Council. This year for SCS6, I was the symposium chair, responsible for the overall organization of the event. 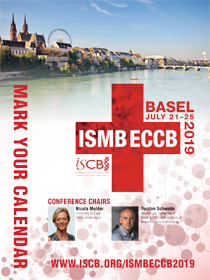 This year Magali Michaut and I started the initiative to have a Student Symposium at ECCB in the years ECCB is organized separately from ISMB. The first edition of the European Student Council Symposium will be held in September 2010 in Gent, Belgium, during the tutorial day of ECCB. Also over the past three years I have been one of the driving forces behind the web presence of the Student Council, developing and maintaining the SC site, the SCS sites and European symposium website. Outside the symposia, I am an active contributor to ongoing discussions within the Student Council as well as reviewer for the internship programs. Non-Scientific Expertise: I have extensive experience in (co-)organizing workshops and meetings. This is further illustrated with my answers on the next question. As a long-term contributor to the Student Council, I think I have a fair idea what lives within the SC.